READING together is never more important in my household than when my husband is deployed. My children are comforted by our story times and it was while sharing a book one night that I decided to pen My Hero Has My Heart. I began writing from the viewpoint of a child, trying to capture my children’s feelings about their parent’s absence. I wrote simply and in rhyming verse to keep it fun and easy to read. My Hero Has My Heart is for the children of Forces families and so I felt it fitting that this group should also be involved in illustrating it. They would know best how to depict the sentiments within the book, so I sought help from our community. I approached the local school to help. 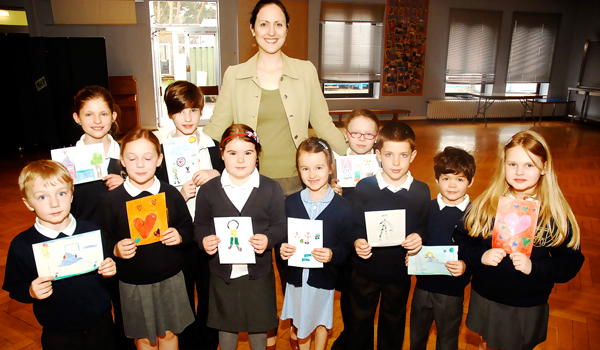 The quality and quantity of the pupils’ pictures really overwhelmed me. I had a hard time shortlisting them for publication, so much so that I decided to include several pages of supporting illustrations too! The entire project was complete and in the hands of the publishing company within weeks. The first copy of my paperback arrived in time for Father’s Day earlier this year and was a well-received gift. I began work on My Hero Has My Heart only a few weeks into my husband’s latest tour of duty. This project gave me something productive and positive to focus on, during what is often a lonely and difficult time. I know as well as any spouse that life is busy and stressful being the sole care provider during a partner’s deployment, but making the time to take on a personal challenge was very rewarding and I would urge others to consider doing the same. Whatever your interests may be – just look to your local community for support and you can succeed. 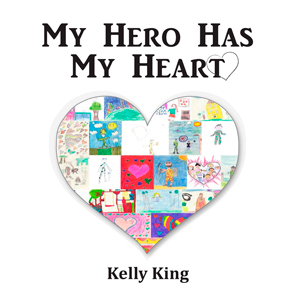 My Hero Has My Heart is available to buy and download from most major online retailers such as Amazon, Google Books and Lulu.com. Every copy sold is helping to raise funds and awareness for SSAFA Forces Help. The Dabby Project: Borrow a friend for a month!